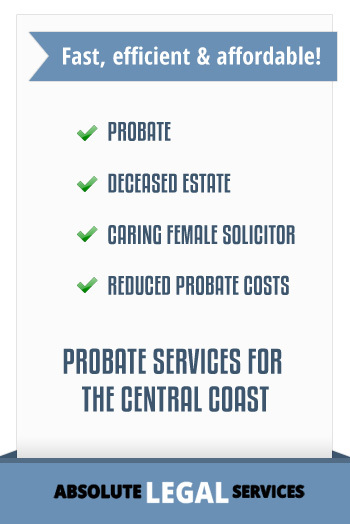 Our Fees for Wills, Enduring Powers of Attorney and Enduring Guardianship include two appointments: the first appointment to advise you and take your instructions; we then provide you with draft documents to ensure you are satisfied. The second appointment is to discuss and sign your documents. We then provide you with copies of your documents in folders and store the originals in safe custody storage at our office. 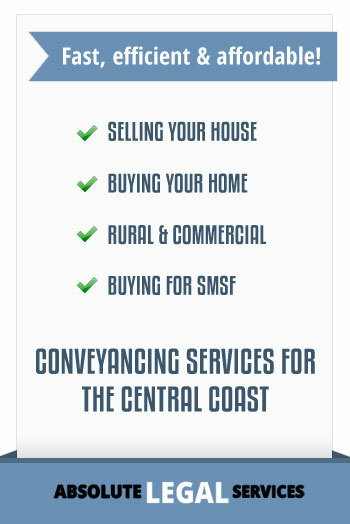 As we need to see you to take instructions our fees are only available for clients in the Central Coast region. Home appointments are available for an additional charge. Sundry expenses are our expenses for safe custody storage, photocopying, scanning, postage, telephone and internet. 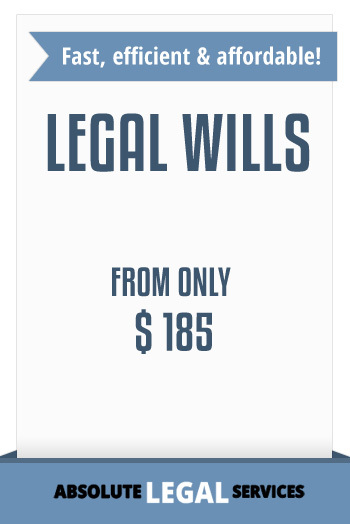 If you require discretionary testamentary trusts to reduce taxation implications to beneficiaries. 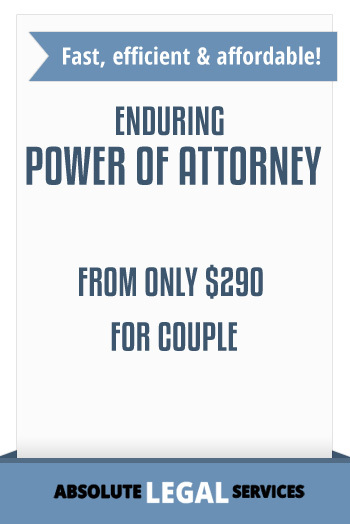 Call us now (02) 43884410 or email rozdavis@absolutelegal.com.au to discuss your Estate Planning.